[iracing2] iRacing 24 Hours of Daytona Announced! One of the biggest developments in iRacing in 2014 was the implementation of driver swaps and now they have announced the race that nearly everyone has been waiting for, the iRacing 24 Hours of Daytona! 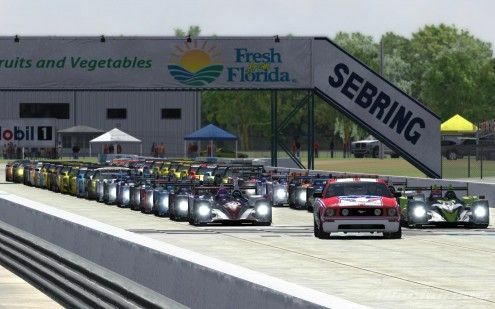 Since 2010, iRacing has hosted a 2.4 hour race recreating the famed Rolex 24 Hour race that is held on the Daytona International Speedway road course that essentially kicks off the motor racing season (check out the thread in NEWS section). Now with the implementation of driver swaps, the digital version will be just as long as the real event! Its first official iRacing 24 Hour Race. 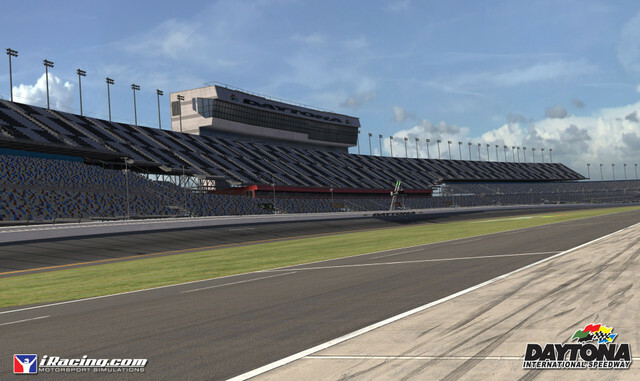 The pre-season test will be held on January 17-18 in preparation for the iRacing 24 Hours of Daytona Race that will be the opening round of the 2015 Road Warriors Series, later in January. The weapons of choice will be the HPD ARX-01c in the prototype class while the GT class will feature the BMW Z4, Ford GT, McLaren MP4-12C and RUF Track version.. The pre-season test will enable iRacing to mass test the driver swap/team functionality and optimize the servers needed to stage three dozen or more simultaneous online races for 24 hours. The event will have up to 40 cars per race split. The main iRacing 24 Hours of Daytona event is scheduled for January 31. It will be the first official event in a 2015 Road Warrior Series consisting of 10 races during the coming 12 months including the 12 Hours of Sebring, the Indy 500 (I know its an oval race but there’s no “Oval Warrior Series”), Petit Le Mans and the Bathurst 1000. The series is also tentatively scheduled to end its ten race season at the currently in production Nurburgring in November/December….whaaaaah! The last race in the schedule will be run on the long awaited laser scanned iRacing version of the Nurburgring Nordschleife. And one more thing… Since such a large event is going to put a massive strain on the software/servers, iRacing is hosting their own version of the “Roar Before the 24″ (test session for the Rolex 24 that begins tomorrow) to stress test the system. The Roar will essentially be a practice 24 hour race that kicks off on January 17th. It will also give users a chance to test out the driver swap feature if they haven’t done so yet. The winners of the Roar races will receive $50 in iRacing credits. With the Roar only nine days away, its time to find a team and decide whether you are going to go for the class or overall win. Good luck...TING??? Flying Avacados???!! !